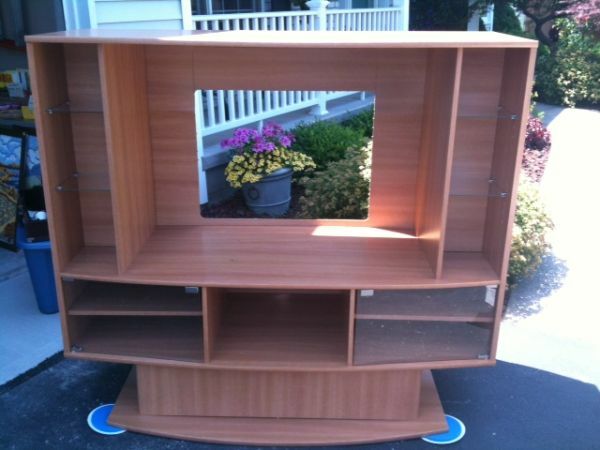 I’ve been trying to sell off our old Entertainment Center/TV Stand on Craigslist and I’ve been highly unsuccessful. Listen Lady, it’s a good TV stand, we just simply outgrew it because we got a larger TV. It’s in decent shape. The whole thing is assembled and I even have the original instruction booklet. I’m selling the whole kit and caboodle for $50. I’ll even throw in a free hug with the purchase price. So here are the specs people. SOMEONE PLEASE BUY MY FURNITURE!! !